You Guys!! 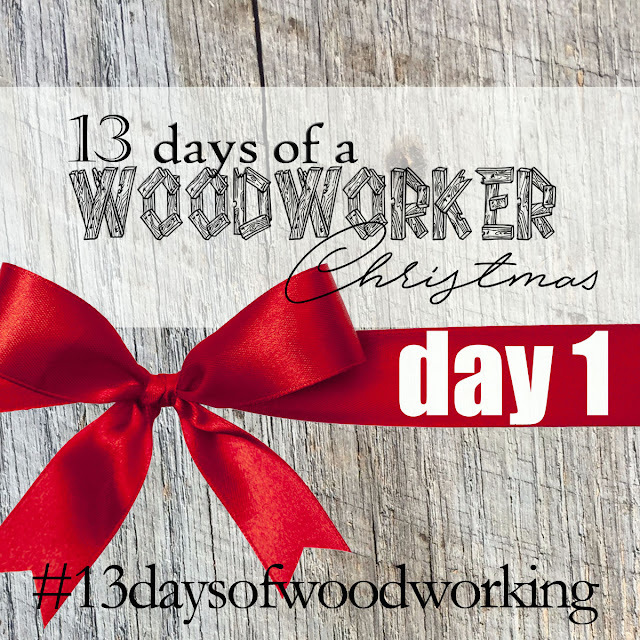 I am super excited to kick off 13 days of a Woodworkers Christmas!! 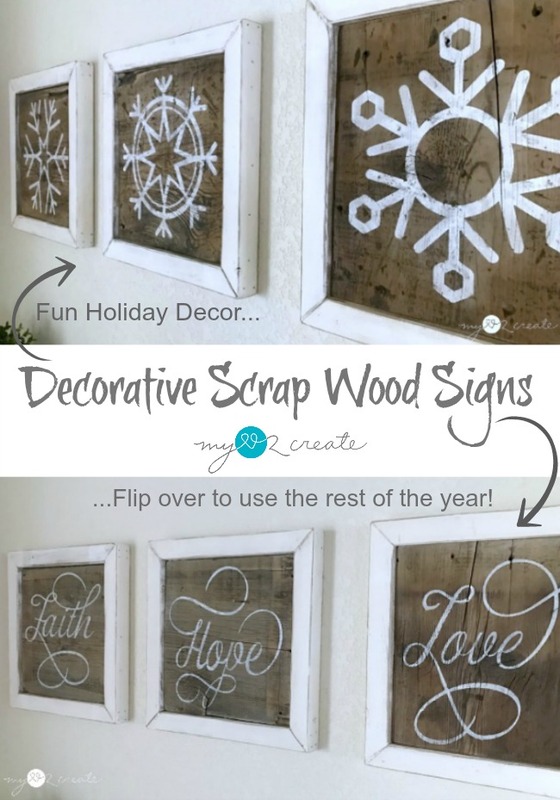 I am sharing my Decorative Scrap Wood Signs, and yes...they are reversible!!! Two in one projects make me happy! If you saw my post on Monday then you know that for the next 13 days some of my awesome blogging friends and I are sharing a project each day, and they are super cool projects you guys! It is our gift to you for being such amazing readers, after all we couldn't blog without you! I hope you enjoy my project today... DAY #1. But wait... as if 13 awesome projects is not enough... we are doing a Giveaway too!!! Oh yeah! You could win Ryobi's new One+ 18v Brushless Hammer Drill/Driver Kit and Fuji Spray's DIY turbine paint spray, PaintWIZ! To enter to win the giveaway, starting December 1st repost the 13 Days of Woodworker Christmas Image to your Instagram feed with the tag #13DaysofWoodworking. Your account will need to be set to public to be counted for the giveaway. Want additional entries? Each day a different blogger "unwraps" their project they'll post a teaser image on their Instagram feed. Follow their account (and check out their project!) 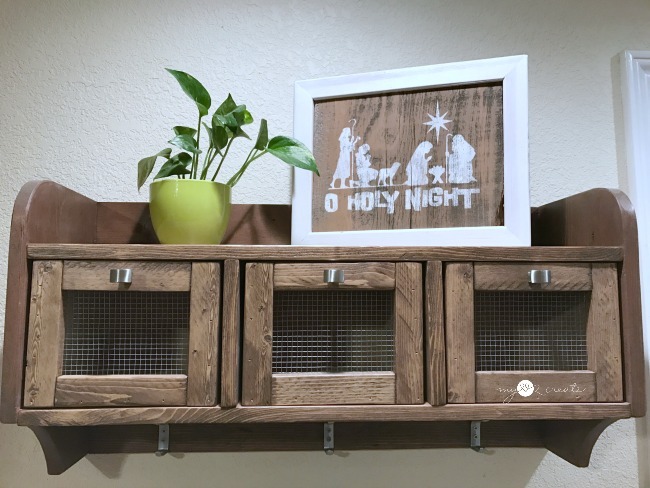 and repost their teaser image to your Instagram feed with the same tag #13DaysofWoodworking along with the unique tag that's will be given out along with each project. What? We are giving you 14 different chances to win this awesome gift pack? Darn right, it's the season of giving isn't it? You have until 10:00pm PST on December 14th to enter. All entries will be tallied and a winner will be announced Friday, December 16th. 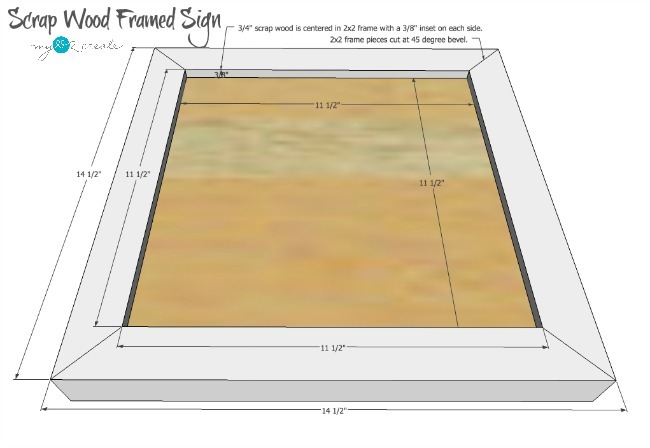 Here are the dimensions of my signs, but the best part of DIY is you can make them any size you want, just adjust the measurements accordingly. I started with my reclaimed wood and some scrap 2x2's I picked up for free somewhere off of Craig's list. In the top photo you can see a small scrap piece of 1/4'' plywood which I used to put my board on when I attached the frame pieces. So you don't get confused, I am showing you the process of the build, but the sign I am making in the process is a different size than the plans show...I somehow lost my in process photos of the original build, so I whipped this example up in less than an hour! So easy! I wanted you to see how I build on the fly. I cut the middle board to any size and mark and measure my 2x2 frame pieces as I go. Measuring and cutting one side, then the next, going in a circle. 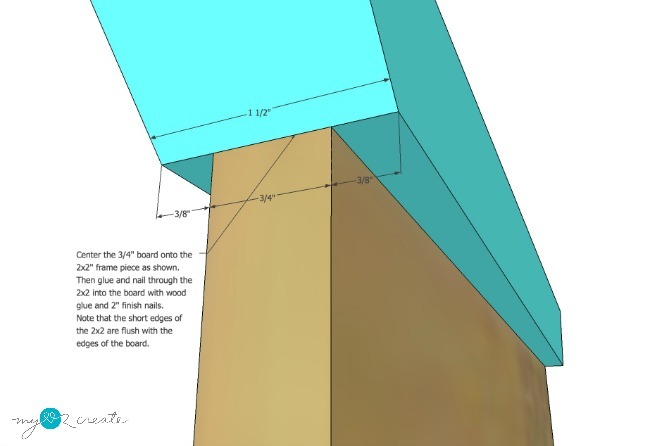 You can see my miter saw cutting at a 45 degree bevel. 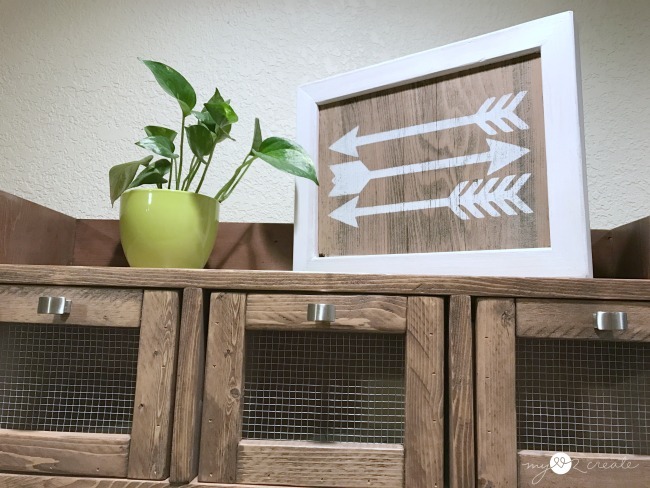 When it is time to build you want to center your board on the 2x2 frame, then use wood glue and 2'' finish nails to attach them together. 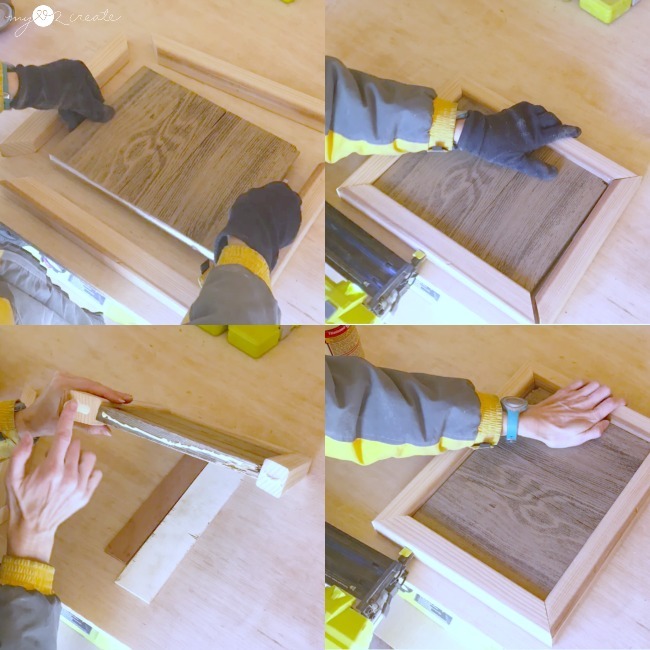 Here are some in process shots of me attaching the frame. 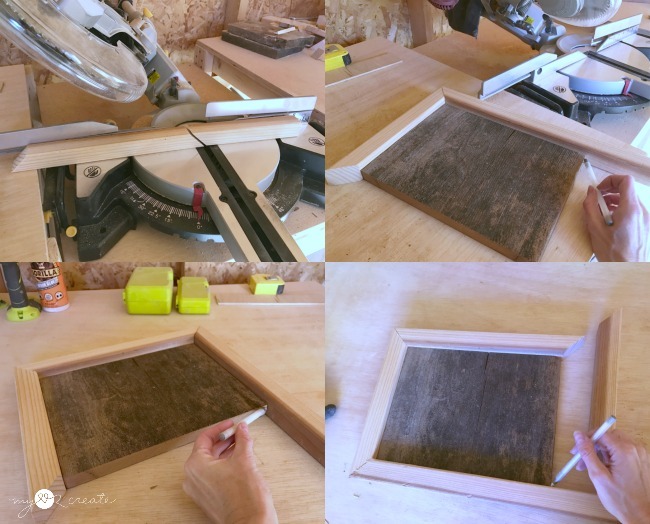 I add glue to one side of the board, then line up all the frame pieces and nail on the 2x2 into the board. I continue in a circle gluing and nailing on each frame piece. 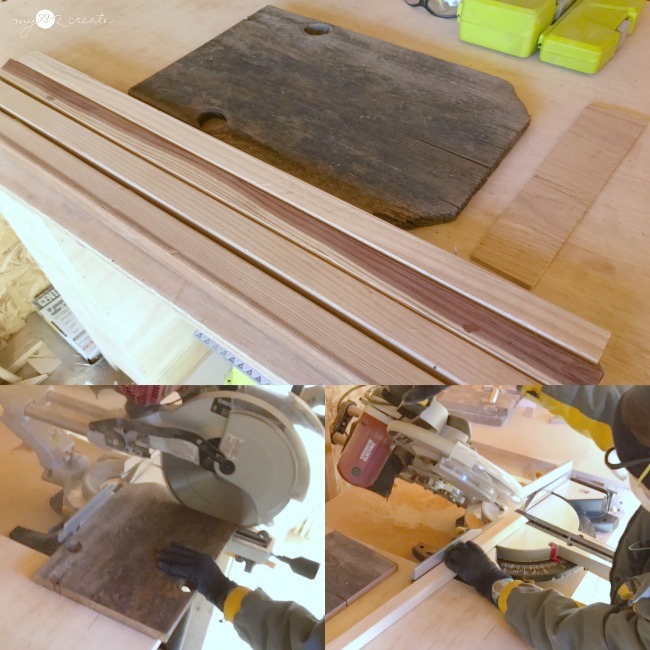 Make sure to add a nail into each side of the corners as well. Once you have attached all the frame sides you are done! You can fill in any nail holes if desired. If I am staining I don't worry about filling them in, but sometimes when I paint I will fill them in, but sometimes I won't! Personal preference! 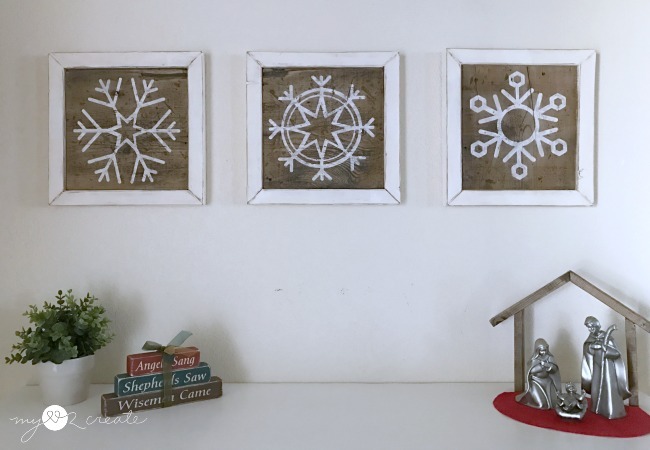 I actually built these snowflake signs two years ago, and first gave a sneak peek of them in my Nativity Stocking Hangers post last year. 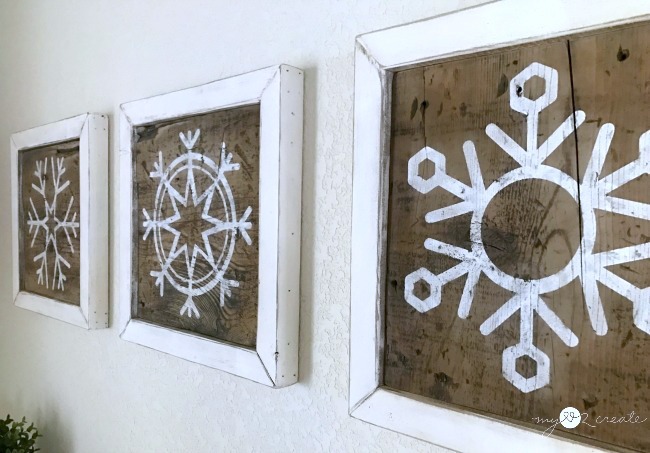 But I never shared them, when I made them I did my stencil first and then added the frames later...I originally wasn't planning to frame them out, but I am so glad I did! Anyway, when I stencil I usually use my Cricut Explore Air Wireless Cutting Machine (affiliate link) to cut designs out of contact paper, then I use it as a stencil. 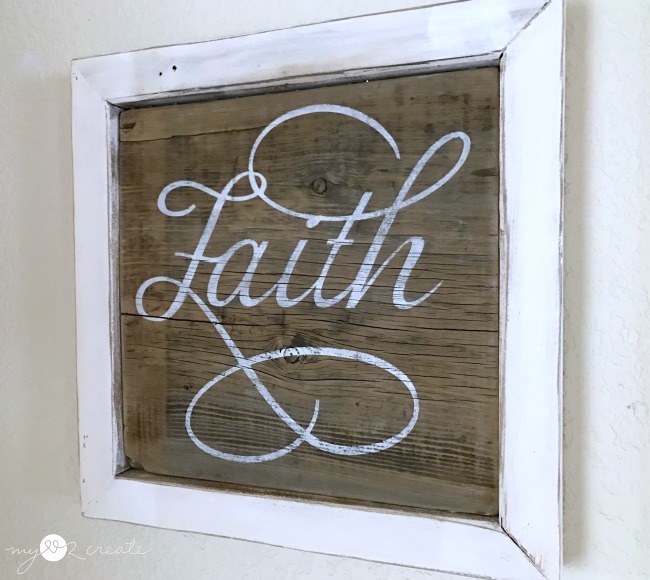 If you don't have a cutting machine I show you several different ways in my HOW TO MAKE YOUR OWN SIGNS post, so don't worry you can still do this with out a fancy machine! 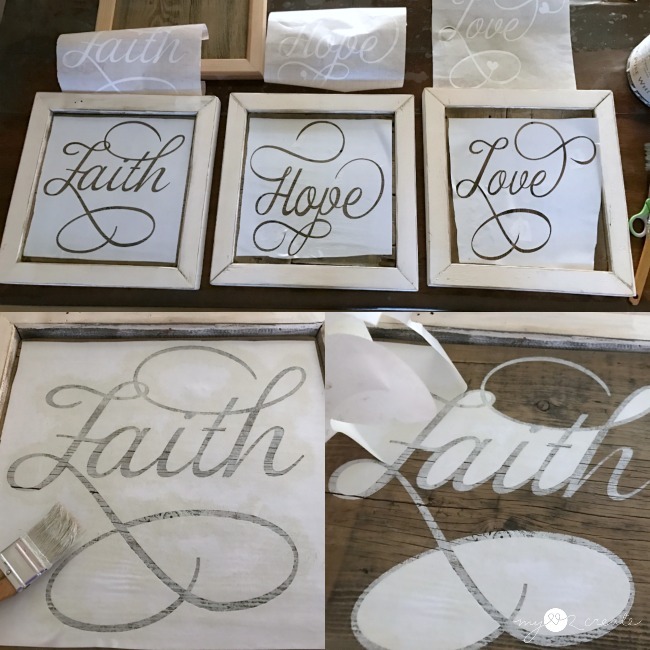 I wanted to use faith, hope and charity on the back of the snowflakes, but I found these fun swirly faith, hope, love words on Etsy and decided to use them instead. I am using white contact paper for these stencils, it is so much cheaper than using vinyl for stencils. 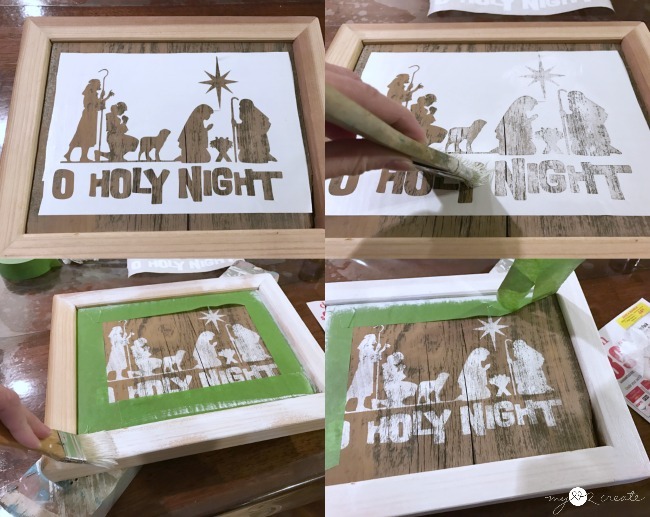 Since I made this in process sign to show you the building process, I decided to stencil on it as well for another reversible Christmas sign. When stenciling you want to load your brush with paint then wipe most of it off (unload) onto some newspaper, then with the smallest amount of paint on your brush you pounce or brush from the edges to the center of you stencil. I had to tape off the middle to paint my frame with the frog tape, since I built it first. You can paint then build too, either way works. I think it turned out pretty cute, and it now has the perfect spot sitting on my hanging storage shelf. Oh yeah, and I threw some arrows on the back, so I can use it all year long! Here is a shot of the words. They are fun, and so very swirly! On the other side, my favorite, the snowflakes! I searched free snowflake dingbat fonts and that is where I got these. Dingbat files and fonts have all sorts of fun things, and they can easily convert into SVG files if you have a cutting machine, if you don't just print them out and use the good old fashioned pencil transfer method. 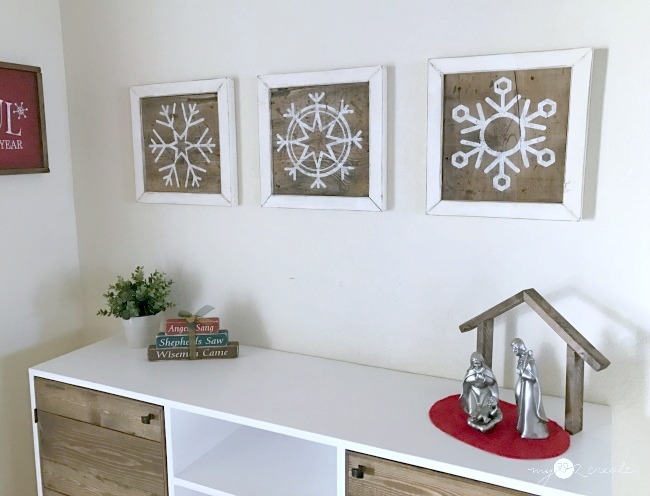 I love the look of the reclaimed wood with the white, it is just so pretty. This wood came from scraps left over from projects I have done with my 70 year old barn wood my friend gave me, it is FULL of character! I am so happy I can keep these up after Christmas, cause you know...snowflakes...winter!! Then I can flip them over and enjoy the versitality of reversible wall art. 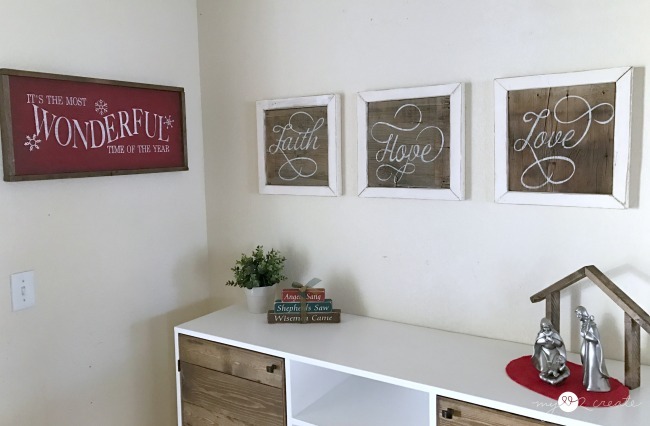 Speaking of reversible wall art...you may have noticed my Pottery Barn knock off "It's the most wonderful time of the year" sign. It was actually my first reversible signs and it is still one of my faves. 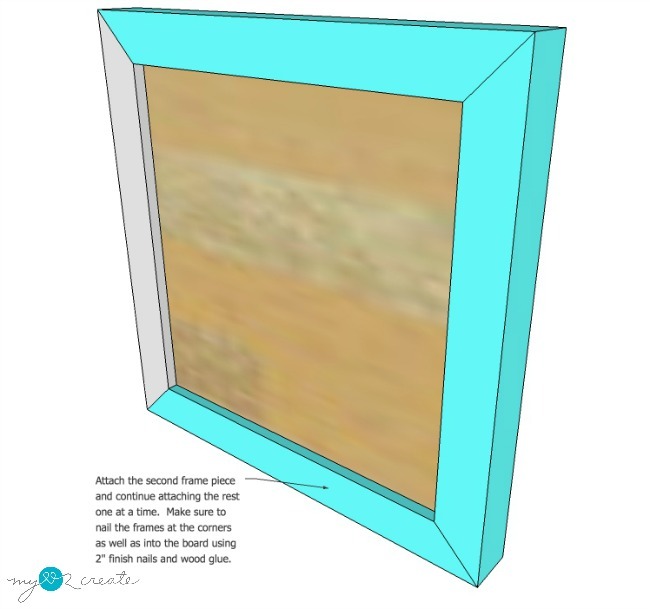 Be sure to check it out, because the frame is a little different and has straight cuts to make it super easy if you are nervous to try miter cuts. You also may have seen my Modern Rustic Buffet, I am so LOVING it. Now that you have unlocked day one! Don't forget to come back and check out all the other projects from my blogger friends below for the next 13 days! This is so much fun!! 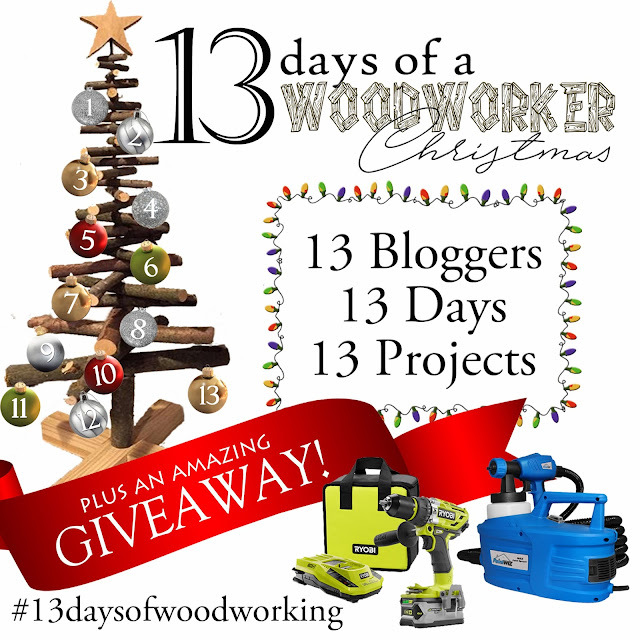 If you want to enter the giveaway be sure to follow me on Instagram and follow the rules and use the #13daysofwoodworking! Best of luck and happy building! 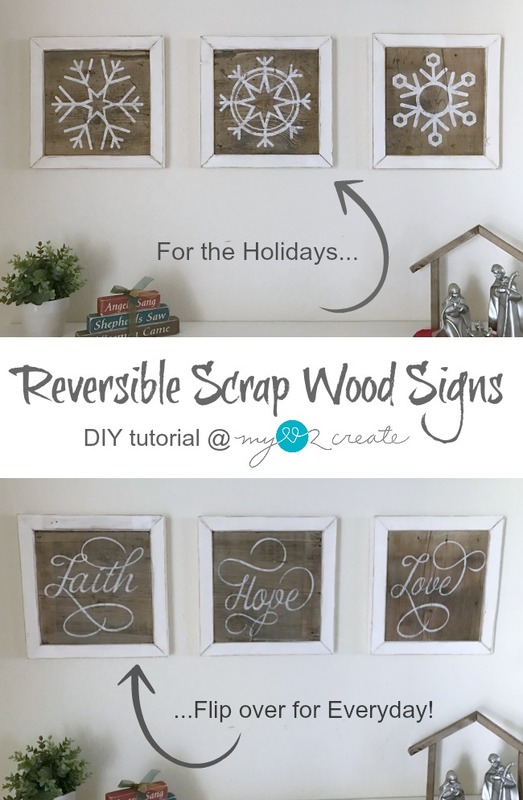 Love your signs, and making them reversible is such a good idea. One question: how do you hang them? Lovely! Such a great idea to make them reversible :)! 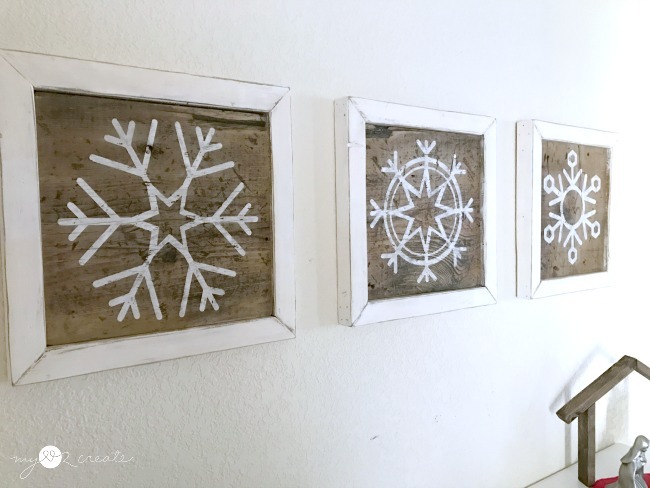 Oh Mindi, I absolutely adore the snowflakes! So smart to make them reversible. Thanks for sharing with SYC. I love the versatility of these if for no other reason than it's one less Christmas decoration I have to store! I also appreciate the tutorial on how you made them since I will be able to incorporate that knowledge into other projects. Definitely something I am going to try so thanks! Oh my goodness, this idea is genius! Scrap wood is my favorite "medium." 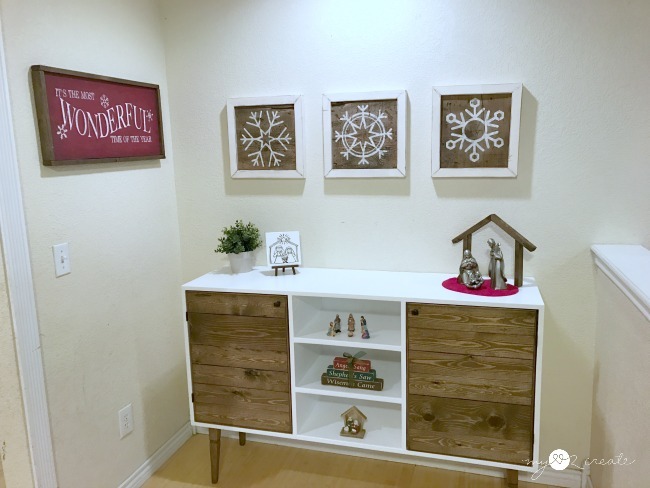 With limited storage for holiday decor, I'm loving the idea to have every day decor on the other side. 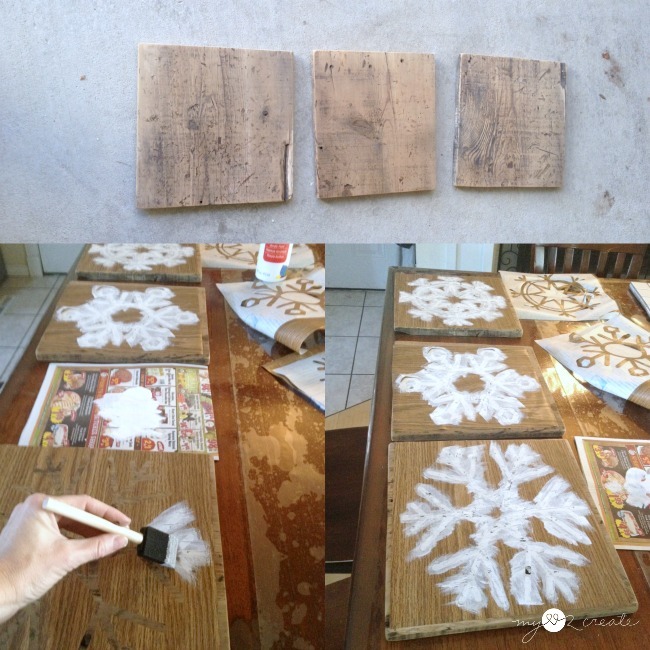 You always come up with the most amazing projects using reclaimed wood or repurposed items! I love these! I just scanned over it for now, but pinned it for later use. did you say how you hung them?